Formed last month, the American (Phoenix-based group) were discovered by Adelaide street press. 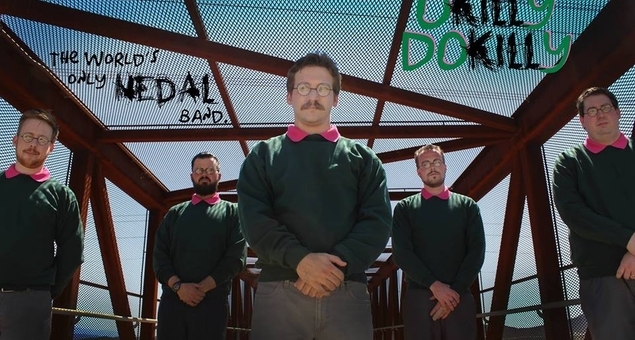 They embody everything you could possibly want from a metal band with a Ned Flanders gimmik. Every member dresses like Ned. They talk like Ned. They also have Ned affixed to all of their roles. As a Simpsons fan I thought this was the most novel thing ever but after listenign to the music I actually enjoy it regardless of the Ned Flanders theme though if you listen clearly you can hear phrases from Mr Flanders subtly in the songs. I recommend you listen to Nothing at all and All that is Left. This band is the real deal. You can even listen to some of their music – including their ode to the Leftorium ‘All That Is Left’ here.